The Lox on MMG? This could be inteteresting. Jadakiss is signed to Def Jam for “three or four more albums” according to his dialogue with XXL Magazine, which is interesting. Crazy would be the better word, considering in 20 years, he only put four albums out in total. 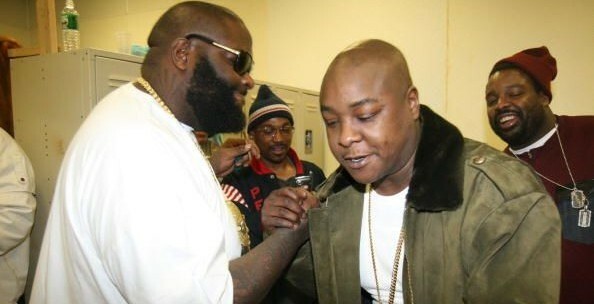 His solo career aside, his D-Block conglomerate is looking for their first deal since their departure from Ruff Ryders Entertainment, and Jadakiss admits there’s probably a forthcoming offer from Rick Ross. Let’s be honest, bias aside, this would be a big look for Kiss, Sheek & Styles, the latter of whom has been releasing amazing albums over the past couple years independently. With Top 5 Dead Or Alive on the way supposedly no later than September, and the Lox album in the works, it’ll be a pretty big 2013 for the New York capos.